The VS138A Video Splitter is a boosting device that duplicates a video signal from one source to 8 output devices. 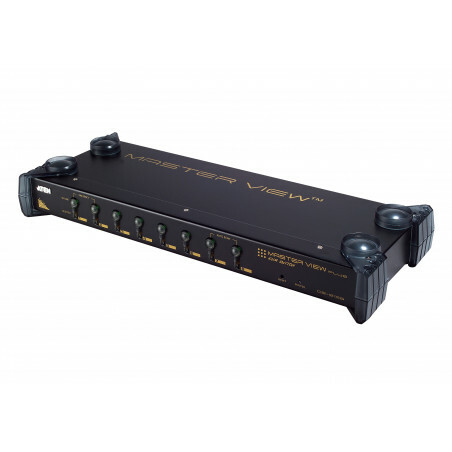 Cascadable to three levels, the VS138A provides up to 512 video signals, in addition to extending transmission distance up to 65 m, making it excellent for public broadcast systems. To transmit multiple, high-quality VGA, XGA, SVGA, UXGA, QXGA, WUXGA and multisync video signals over long distance without hassle, the VS138A is your best choice. * Video content sent over very long distance using a VGA cable might result in slight degradation of the video signal and quality.